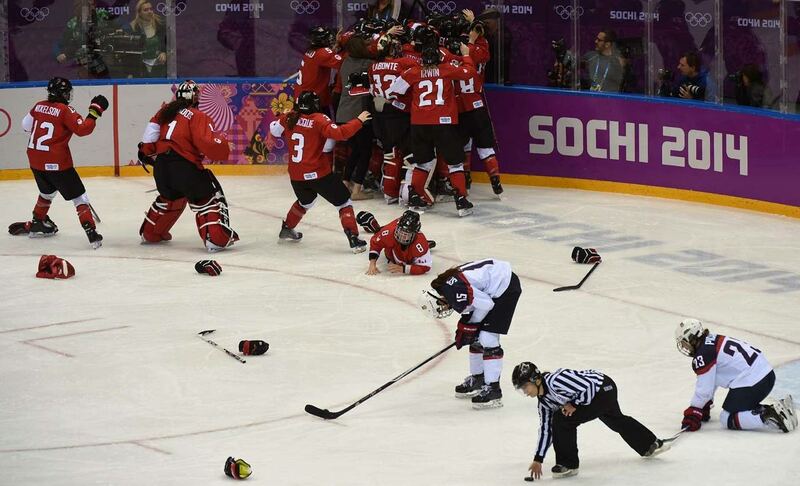 Team Canada celebrates it's game-winning score while the U.S. players show their disappointment in the 3-2 overtime loss. 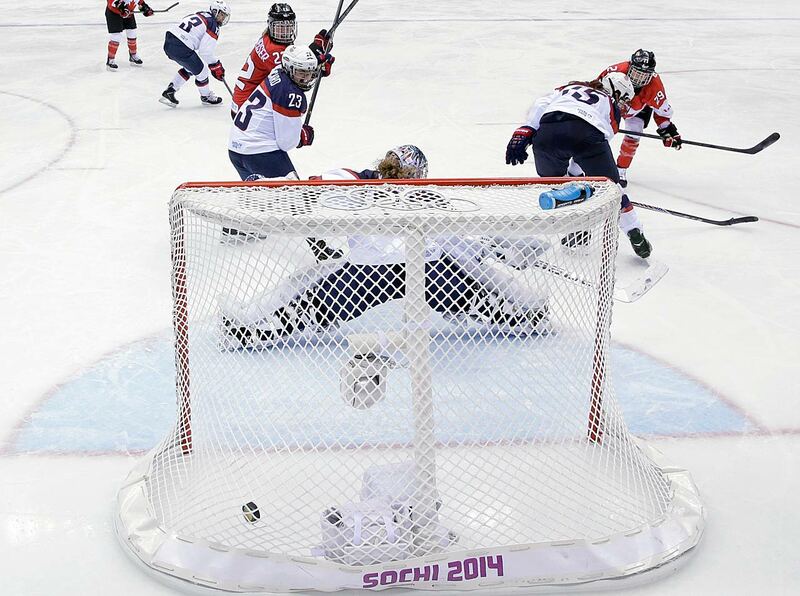 Marie-Philip Poulin of Canada (29) scores the game-winning goal in overtime. 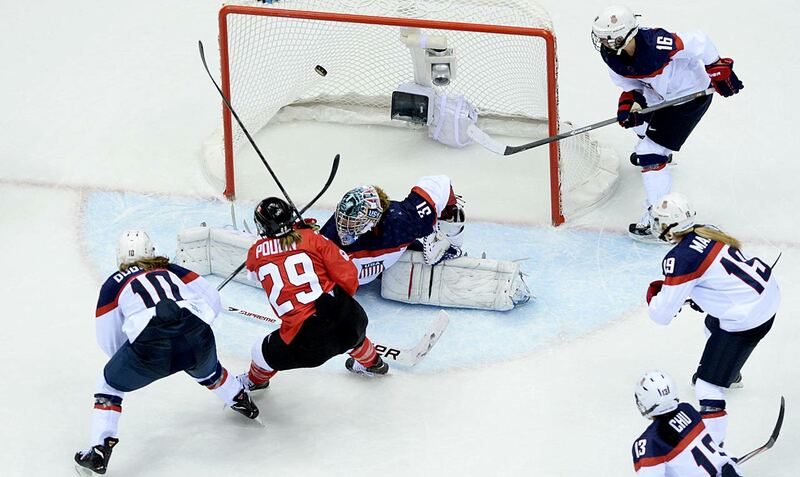 Marie-Philip Poulin scores a third-period goal against Jessie Vetter to tie a game that the U.S. once led 2-0. 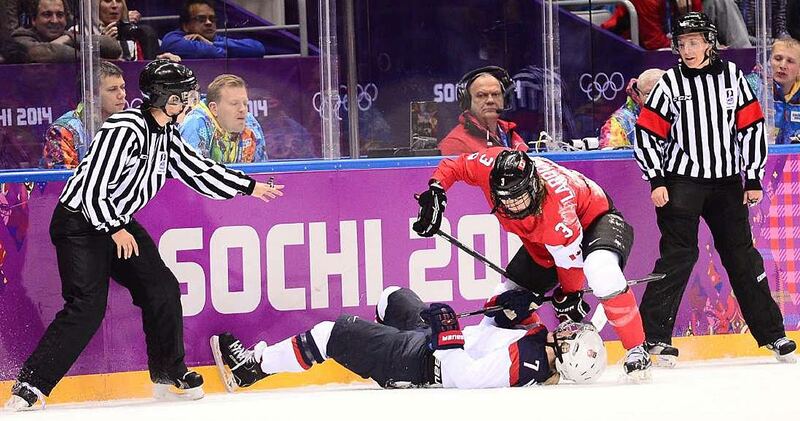 Jocelyne Lamoureux of the U.S. drew a slashing minor for taking down Canada's Hayley Wickenheiser on this breakaway. 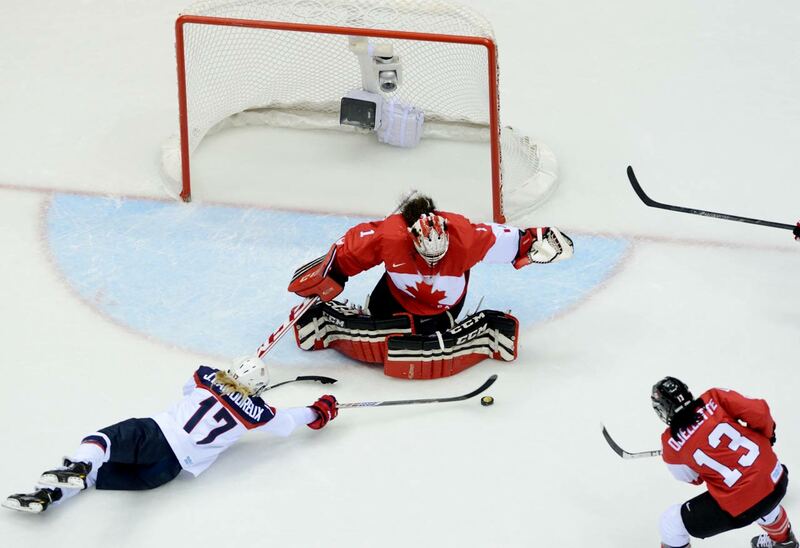 Shannon Szabados of Canada makes a save on an attempt by Jocelyne Lamoureux. Canada took down the U.S. despite trailing 0-2 at one point. Gracie Gold was the highest-finishing American woman, landing in fourth place while Ashley Wagner took seventh and 15-year-old Polina Edmunds ninth. 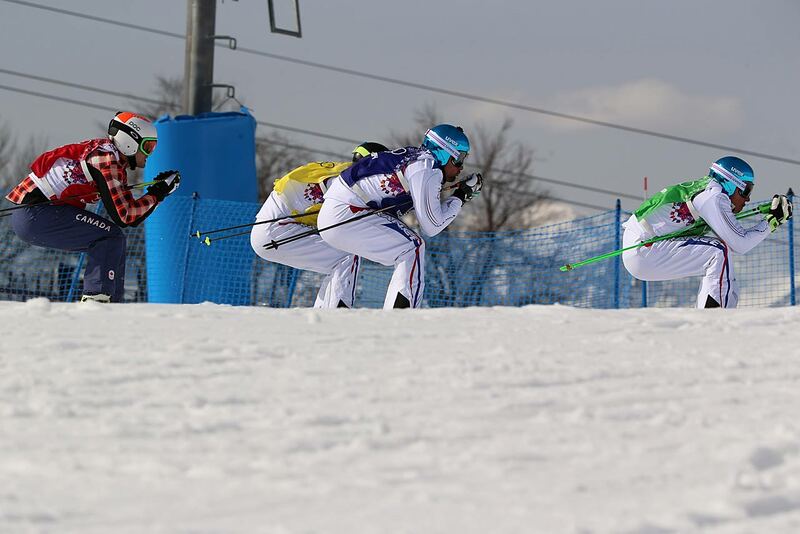 Jonas Devouassoux trails Jean Frederic Chapuis, Andrea Matt and Jonathan Midol in a quarterfinal heat of the ski cross. 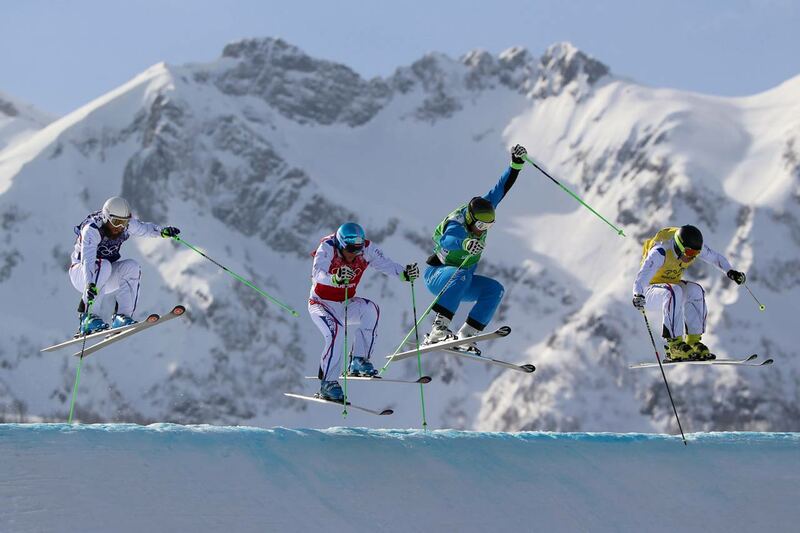 Jean Frederic Chapuis (green bib) won the gold medal in the ski cross, while Arnaud Bovolenta (blue) took home silver and Jonathan Midol (yellow) the bronze. 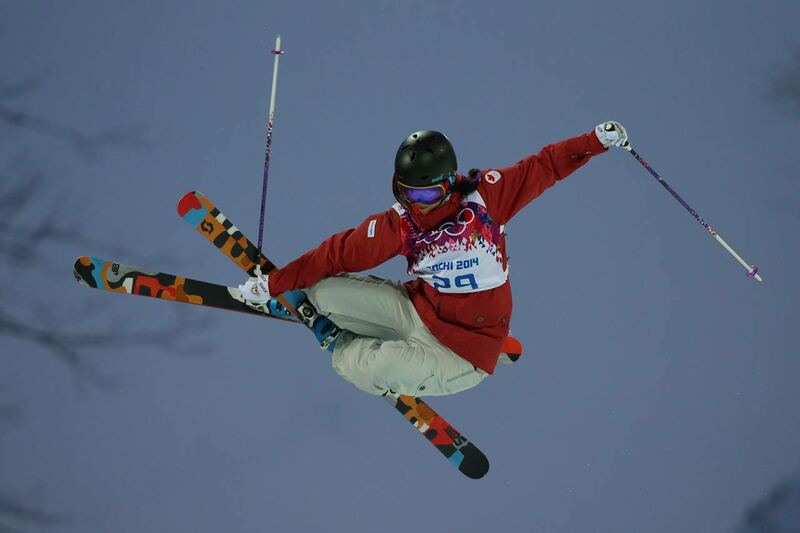 Canada's Brady Leman finished fourth. 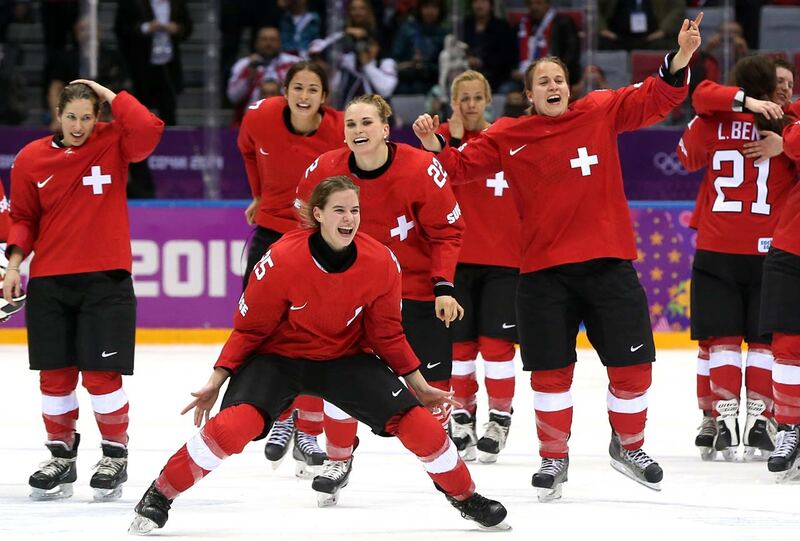 Alina Muller and teammates celebrate after defeating Sweden 4-3 during the bronze-medal game in women's hockey. 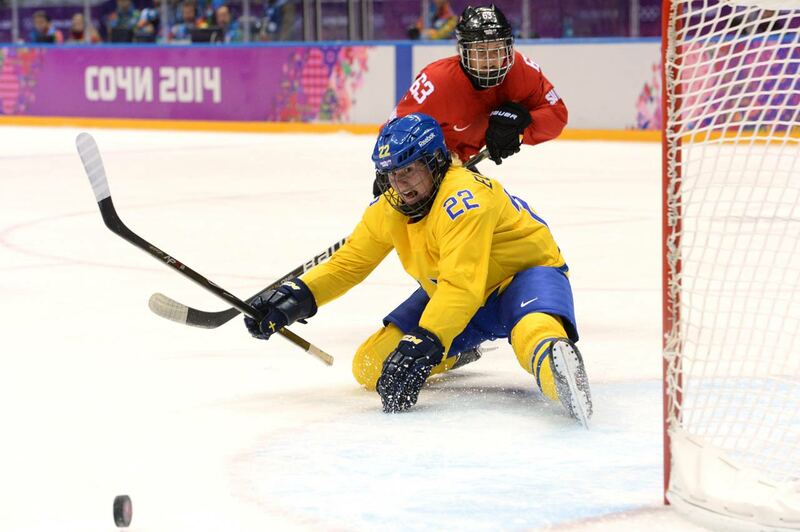 Sweden's Emma Eliasson watches in vain as the puck sails by while Switzerland's Anja Stiefel looks on. 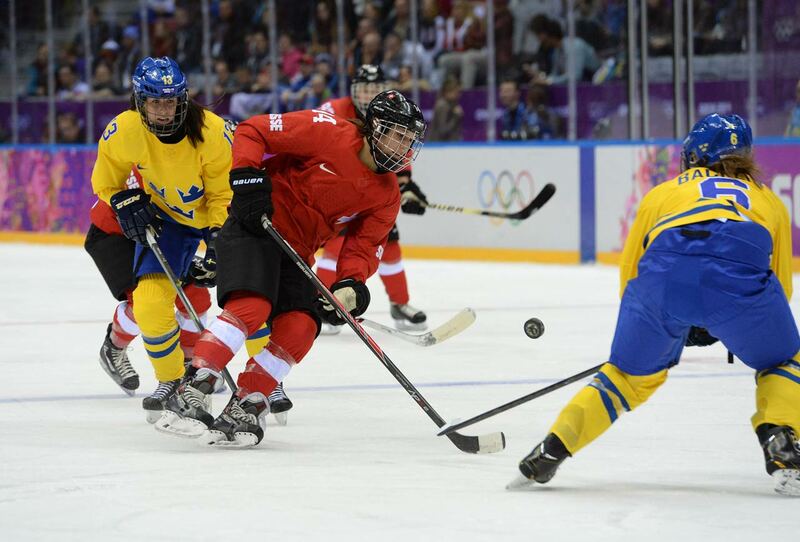 Forward Evelina Raselli (14) controls the puck during Switzerland's victory. 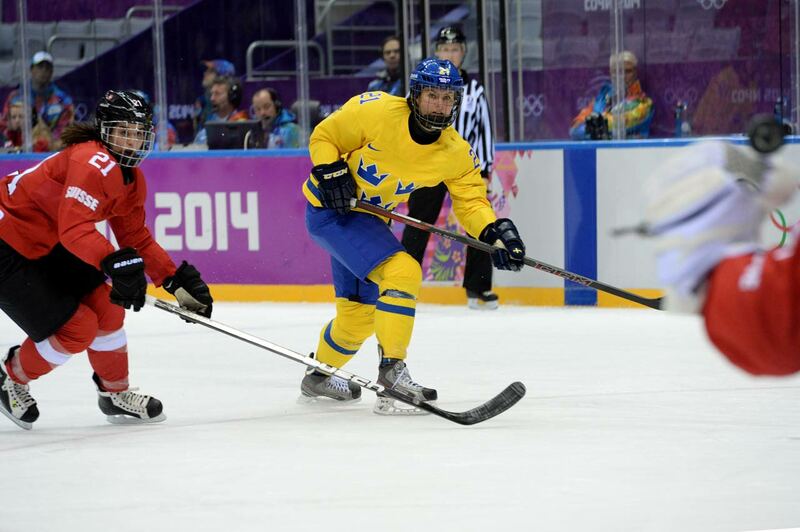 Evelina Raselli and her teammates rallied from a two-goal deficit to beat Sweden 4-3. Canada beat Sweden 6-3 in the gold-medal match in women's curling. Canada skip Jennifer Jones celebrates the team's gold-medal performance. 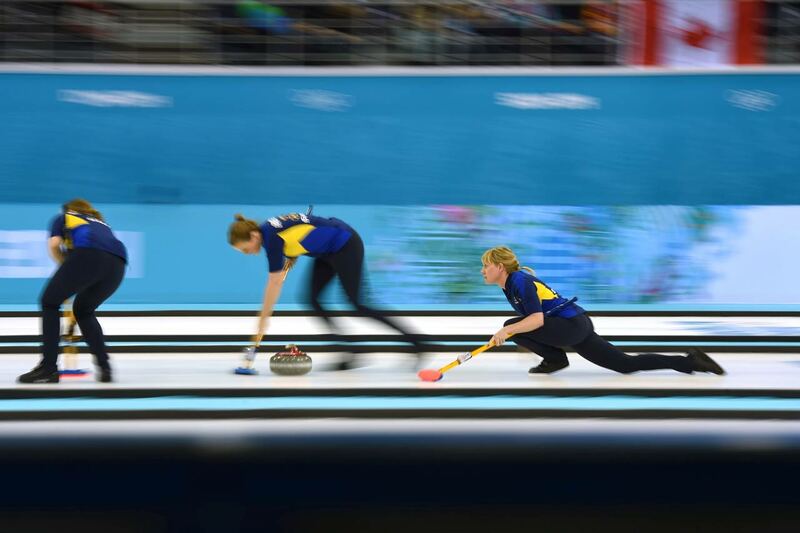 For the Swedish curling team, the silver medal goes with their second-place finish at the world championship and first in the European championship. 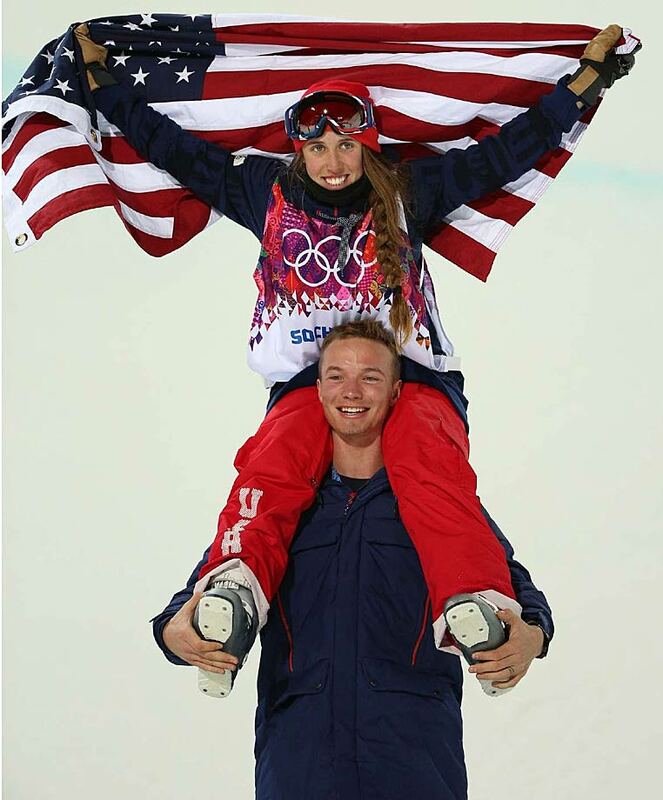 Maddie Bowman won the first-ever gold in women's Olympic halfpipe skiing. 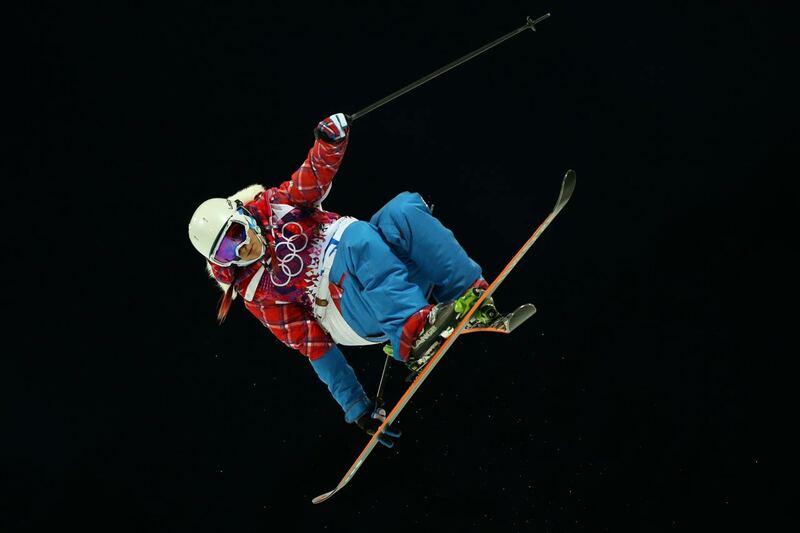 Silver medalist Marie Martino retired in 2007, but came back at the urging of late Canadian freestyle skiing icon Sarah Burke. Brita Sigourney in the Ski Halfpipe qualifications. 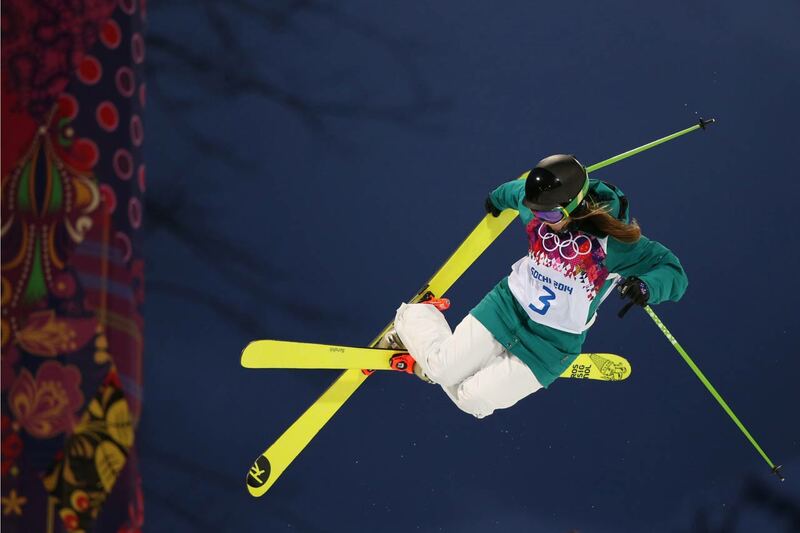 Annalisa Drew in the Ski Halfpipe qualifications. 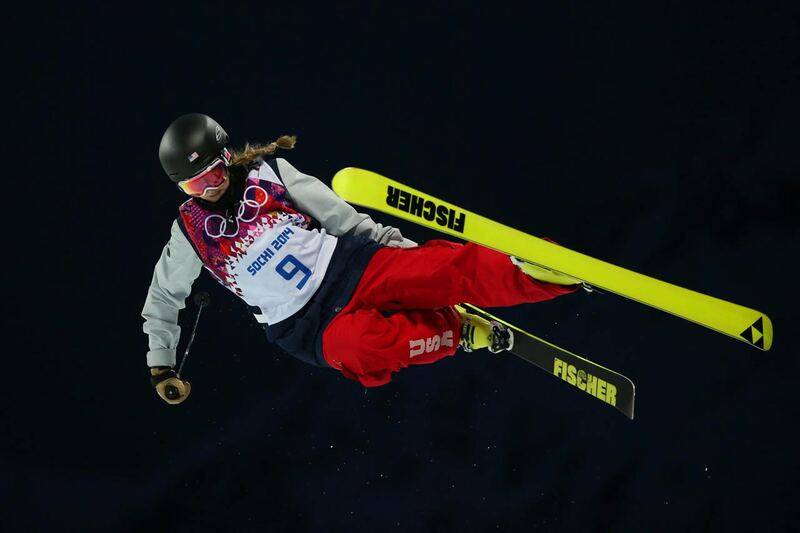 Amy Sheehan in the Ski Halfpipe qualifications. 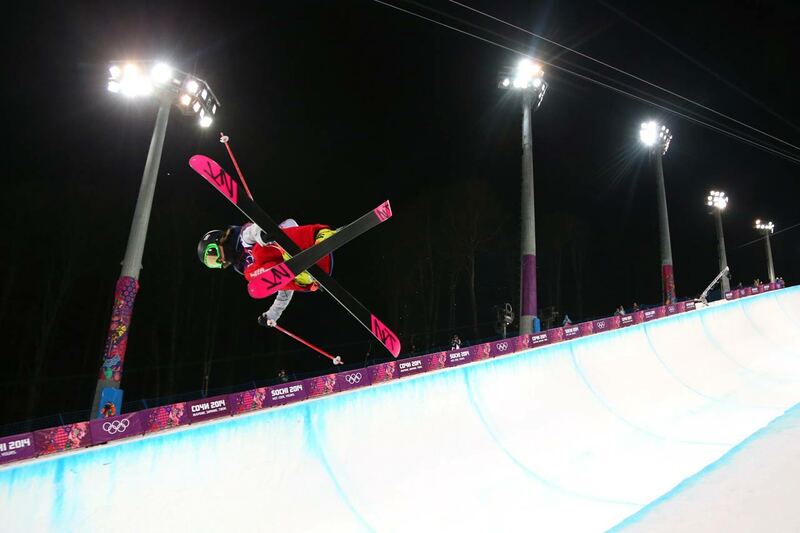 Rosalind Groenewoud in the Ski Halfpipe qualifications.